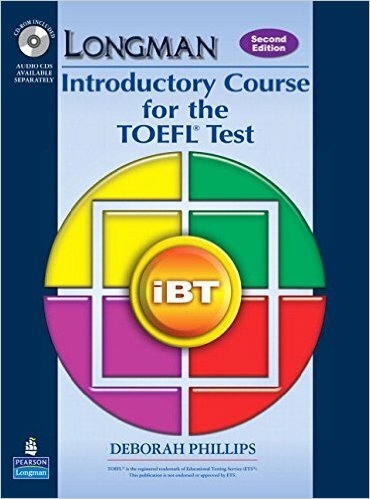 Providing both a comprehensive language skills course and a wealth of practice for all sections of the test, the Longman Introductory Course for the TOEFL® Test: IBT, by Deborah Phillips, gives intermediate students (scores of 450 to 520 on the paper TOEFL® Test or 45 to 70 on the TOEFL® iBT) all the tools they need to begin to prepare for the TOEFL® iBT integrated-skills test. Upon completion of the Introductory Course , students are ready to handle the more advanced material in Longman Preparation Course for the TOEFL® Test: IBT. Updated material for all the new types of passages and questions on the test. Four mini-tests that preview the test’s integrated four-skills format. New “send” feature that allows electroninc submisson of results, reports, and spoken and written responses. Deborah Phillips has been teaching English for over twenty-five years with an emphasis on test preparation and academic skills preparation. She has led seminars and participated in conferences on test preparation and English language teaching in Mexico, Brazil, Chile, Argentina, France, Spain, Indonesia, Japan, Korea, Malaysia, Saudi Arabia, Turkey, and the United Arab Emirates. She currently teaches courses for the certification of teachers in English as a second language at the University of California. Ms. Phillips is the author of the Longman Preparation Course for the TOEFL® Test series of textbooks and CD-ROMs. She is currently working on new textbooks and CD-ROMs to prepare students for the latest version of the TOEFL® test.